Happy Monday! We are officially on Summer vacation and you would totally know it with yet another sunburn! I was pretty good about getting several layers on, but fair skin+sun+beach=glutton for punishment! Luckily this weeks is not as bad as the previous...next time I will just stay fully clothed WITH gloves...lol! Anyhoo, I've got a quick card post to share with you today! 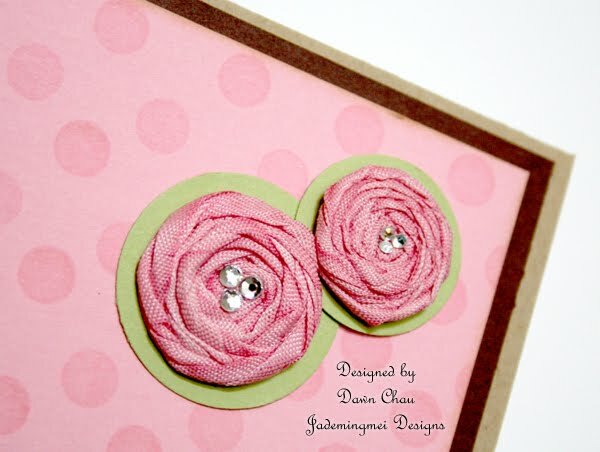 I picked up For The Graduate stamp set for this card and made a girly spin on the colors and layout. If you have been following me via facebook, you know I have been linking fun tutorials about seam binding etc. Well, I bought myself a roll and these little rosettes were my first trial run with dyeing and twisting. I followed a simple and easy tutorial by Debbie and used a light pink copic refill. I'm not sure if there are other re-inkers you can use. I did try another strip with SU! re-inkers and it didn't dry as quickly and the crinkle is a little softer. With the copic re-inker, it dried fast because they are alcohol based and I was able to use this seam binding within 5 minutes of dyeing. 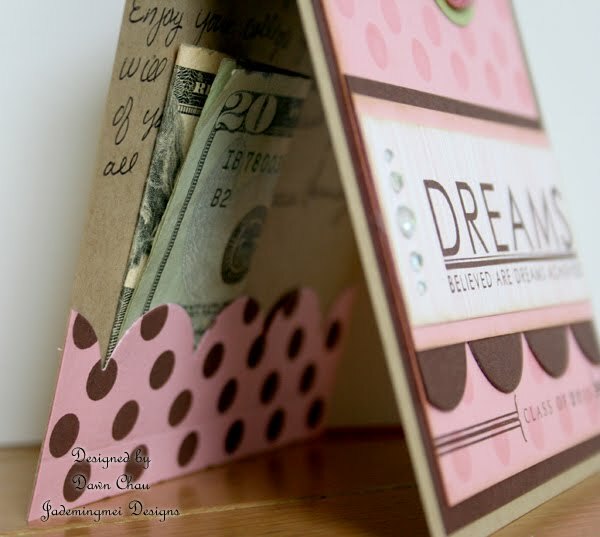 I used a large scallop die on the inside of my card to create a pocket for the money. A nice and simple gift for any grad on their way to college! What a pretty card and I love the little pocket inside!!! Fabulous!